He says it was ‘a symbol’ - by that's life! 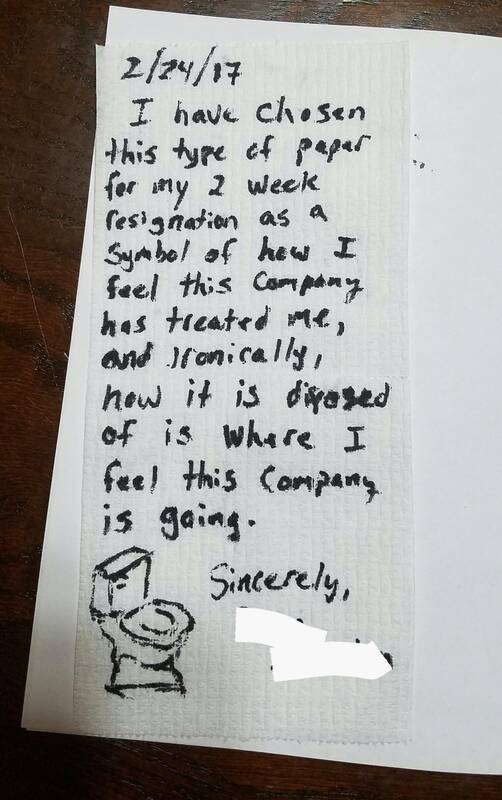 A woman has shared her hubby’s resignation letter that no doubt got the message across about how he felt leaving his job! By the sound of it, that would have been a satisfying letter to write. Here's hoping he didn't need a reference from that boss!